The PCDFW hosted its first Pre-read Seminar around the book, “Speak Freely: Why Universities Must Defend Free Speech.” At the event, the group watched the video of President Eisgruber’s Pre-read Seminar from September 2018 and then engaged in a moderated discussion about the book. 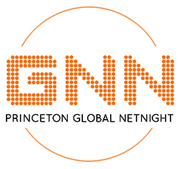 The PCDFW held its first Princeton Women’s Network (PWN) gathering. The PWN brings together alumnae in regional associations around the world. Members create communities with a focus on shared interests and issues including social and professional networking, personal and professional development, mentoring of alumnae and students, and other activities and events. The PCDFW held its annual holiday party at Wheelhouse in the Design District, with an impressive turnout of alumni (and current students!) from all over the DFW area. The Harvard Club of Dallas invited other local Ivy League alumni clubs to a lecture with Harvard Professor, Dr. Daniel L. Shapiro. More information on the event here. The PCDFW celebrated the 2018 DFW Regional Winner and Certificate Winner for the Princeton Prize in Race Relations at the law offices of Jackson Walker. Read more here. The PCDFW joined the Harvard Club of Dallas to watch the Princeton vs. Harvard men’s basketball game. While the Tigers had a great group of fans cheering them on from Texas, they ultimately were defeated by the Crimson 66-51. Old Parkland hosted a debate featuring students from Princeton and Yale. The students debated the motion: Sanctuary cities should maintain their status despite federal efforts to withdraw funding. It was a close contest; however, the Princeton team emerged victorious. Alumni gathered at The Rustic in Uptown Dallas for a happy hour to kick off the upcoming interview season. As the number of applicants continues to rise, we need as much alumni participation as possible to conduct interviews. It was great to see more people looking to get involved! Professor Conley is the author of several books. His most recent book, “The Genome Factor: What the Social Genomics Revolution Reveals about Ourselves, Our History, and the Future” was recently featured on the University’s homepage. Alumni gathered at the Idle Rich Pub in Uptown, Dallas for a happy hour to end the summer. 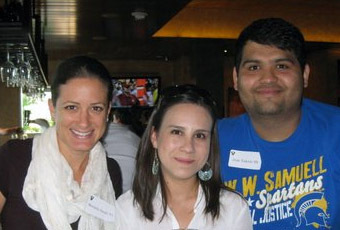 Alumni gathered at the Lazy Dog in Addison for a summer happy hour in July. DFW Tigers gathered shortly after Reunions for an alumni happy hour. The event also served as a membership meeting to begin the process of formalizing the organization. All local alumni present voted to ratify the new PC-DFW constitution. As a result, we are on our way to becoming a tax-exempt 501(c)(3) organization in Texas. Local alumni gathered at The Rustic to celebrate the great work of the ASC volunteers, who completed a record number of interviews this year. 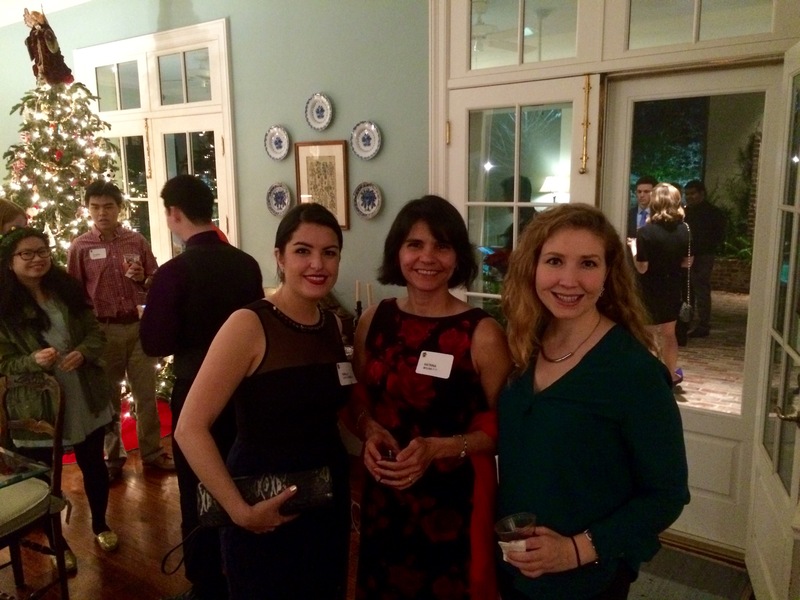 Alumni, current students and family all gathered to celebrate the holiday season at the annual PCDFW holiday party. Joanne and Eddy Moore 81′ graciously hosted the event. A big thanks to our wonderful hosts for bringing everyone together and to all who attended! The 2015 Annual Dinner was a great success, with a terrific speaker and record attendance. 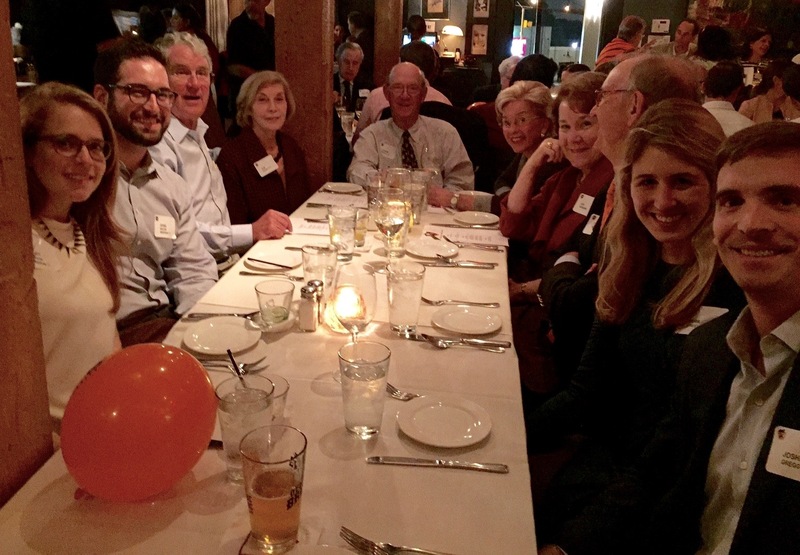 A diverse group of alumni representing Princeton classes from 1954 all the way to 2015 gathered at Victor Hugo’s in Oak Cliff on a rainy Thursday evening. However, the weather did not deter any Tigers, as the group filled the venue to capacity for the sold out event. Professor Lawrence Rosen, the William Nelson Cromwell professor of Anthropology at Princeton, was the featured speaker, delivering his presentation “A Brief Stroll Through an Arab City.” Professor Rosen’s perspective on the relevant and timely topic engaged everyone in attendance and sparked a lively follow-up discussion. Thank you to everyone who came out for the great event! There was a great turnout for the September alumni happy hour at the Blackfriar Pub in Uptown Dallas. We were glad to see some new faces there! Alumni gathered at the Bowen House in Uptown Dallas on June 18 for a summer happy hour. It was a great way to catch up and share stories from Reunions. 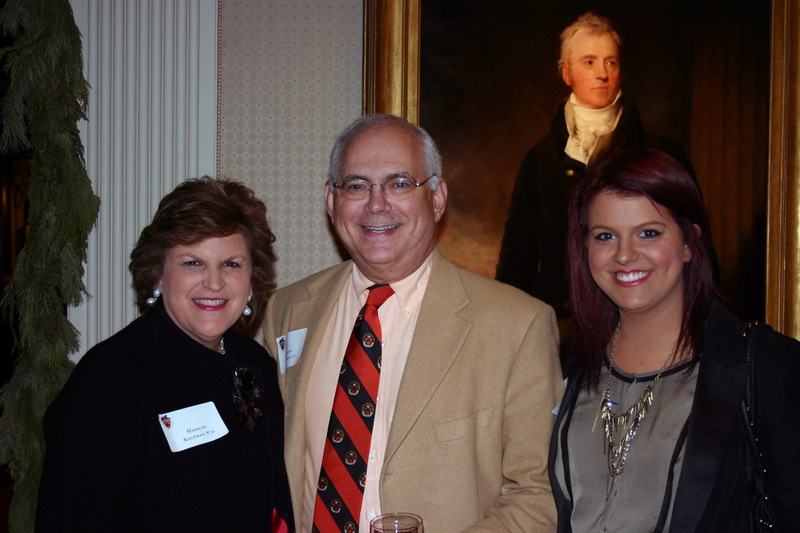 Local alumni, parents and other members of the Princeton Club of Dallas-Fort Worth welcomed University President Christopher L. Eisgruber ’83 to the DFW area at an event sponsored by the Office of Alumni Affairs. The event featured a conversation between Eisgruber and former Princeton trustee Terdema Ussery II ’81, president and CEO of the Dallas Mavericks, that was followed by a Q&A session with the audience. Read more about the event in a Alumni Weekly blog post authored by alumnus Sandy Thatcher ’65 here. A great group of alumni gathered at the The Common Table in Uptown Dallas for a happy hour. We were happy to see a number of new faces at the February event! 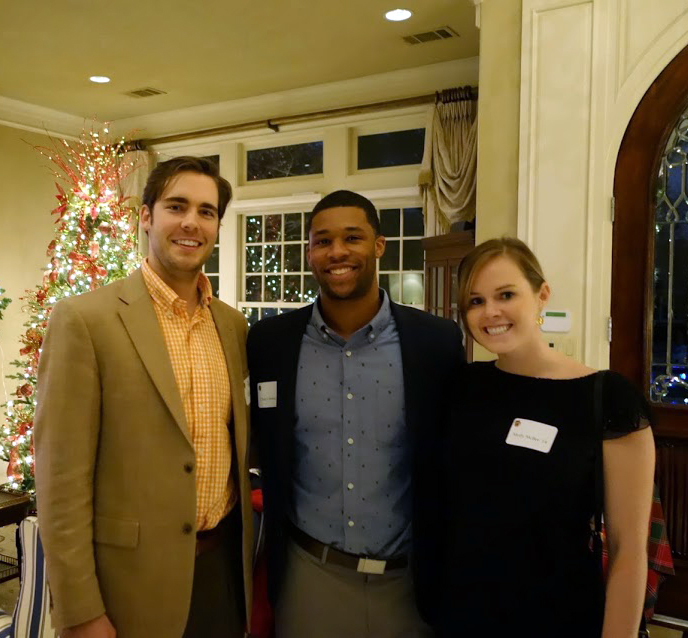 On December 19, Princeton alumni, current students, friends, and family in the Dallas-Fort Worth area gathered to celebrate the holiday season. 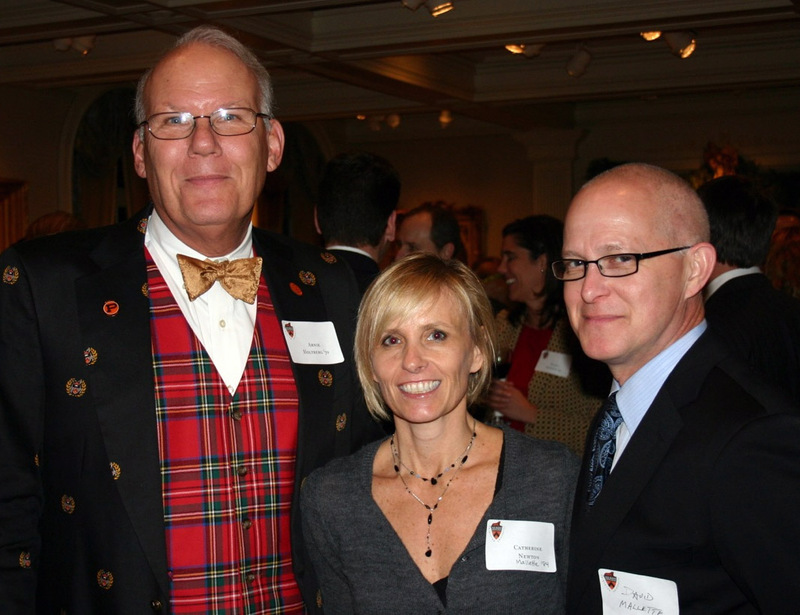 Thanks to the gracious hosts, Mr. and Mrs. James Renna (James Renna ’94), for a fun and festive evening! 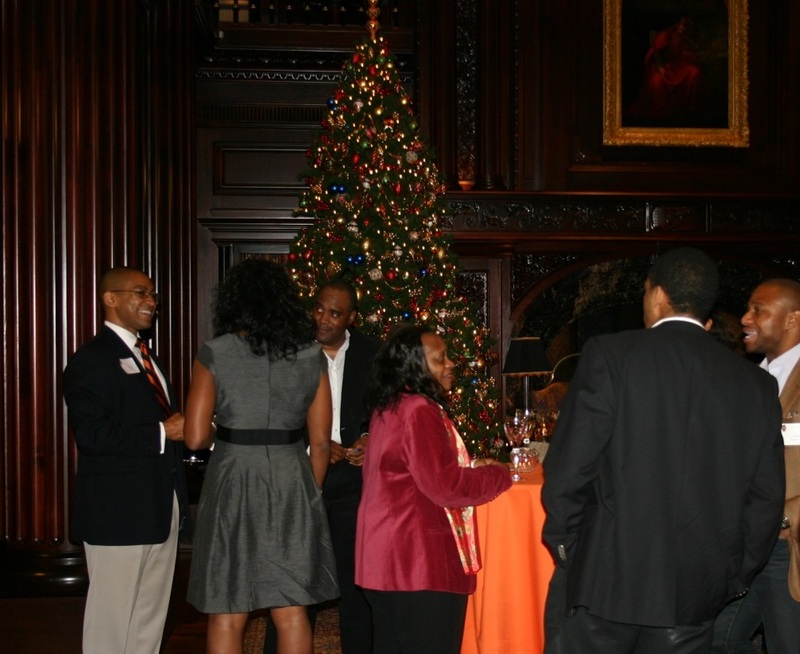 PCDFW joined other local ivy league alumni organizations for a wine & cheese reception on Wednesday, October 15th. The reception was held at Arlington Hall at Lee Park. The event was sponsored by Strasburger & Price, LLP, Dart Points, UMB Bank, Montgomery Coscia Greilich, Exponent HR, Highland Capital Management, and Marsh. PCDFW kicked off the summer with a alumni happy hour. Alumni gathered at the Standard Pour in Uptown Dallas to share stories from Reunions. 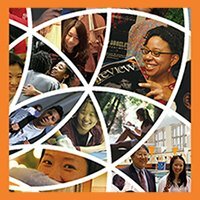 The Princeton Prize in Race Relations is an annual award recognizing local high school students who have demonstrated a commitment to advancing the cause of promoting race relations. On May 14 the PCDFW held an award ceremony to recognize this year’s winner, Ayodele AIgbe, from the School of Science and Engineering Magnet. Certificates of Recognition were also awarded to Mariah Camper from The Hockaday School and Christin Jackson from Southwest High School. Many thanks to our hosts, Tom Hughes, AT&T Vice President – Small Business Product Management and Elaine Kung, ’88 Electrical Engineering, AT&T Director – Fiber Broadband Program. 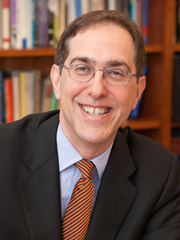 For more information please visit the Princeton Prize in Race Relations website. On April 22 the PCDFW gathered with other ivy league graduates at the Nasher Sculpture Center in the Dallas Arts District for a wine and cheese reception. Princeton alumni, spouses, and significant others gathered with current Princeton students and their parents for the annual holiday party December 18, 2013 to celebrate the holiday season. 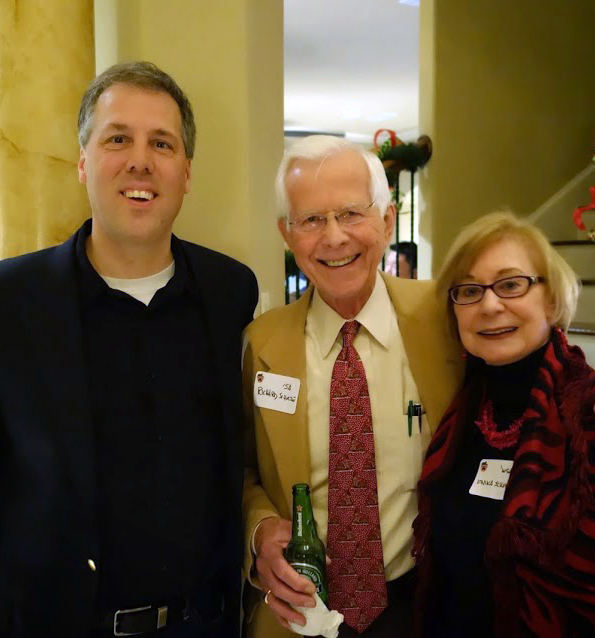 On December 2, 2013, the PCDFW welcomed A. Scott Berg ’71, Pulitzer Prize winner and current University trustee, as the speaker for the annual dinner. A highlight of the event was Berg’s discussion of his recently released book Wilson, a biography of President Woodrow Wilson, a member of the Class of 1879 and University president from 1902-1910. 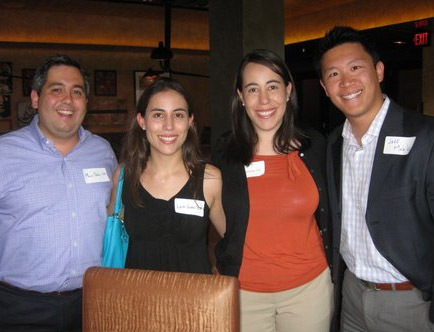 PCDFW kicked off the summer with a happy hour at Del Frisco’s Grill, where alumni shared stories from Reunions. On May 6 the PCDFW held an award ceremony to recognize this year’s winner: Kimberly Herrera, student at Irma Rangel Young Women’s Leadership School. Certificates of Recognition were also awarded to Anase Asom from The Hockaday School and Abdul Alattry from Lake Highlands School. Moving On: Diversifying and enriching your portfolio of professional/personal pursuits; preparing for post-full time career roles: boards, starting own company, volunteer work, etc. Alumni and their families gathered at the Dr. Pepper Arena to watch the Texas Legends, the local NBA D-League team. Alumni, students, and friends of the University celebrated the season and spread some holiday cheer at the annual holiday party. The PCDFW welcomed Professor Ed Felton, Princeton Professor of Computer Science and Public Affairs / Director of the Center for Information Technology Policy, as the speaker at the 2012 annual dinner. At the event Professor Felton shared the presentation he gave to the freshmen class on digital technologies and public life. Princeton alumni, spouses, and significant others gathered with current Princeton students and their parents for the annual holiday party December 16, 2010 to celebrate the holiday season.